A GREAT EXPECTATIONS MODEL SCHOOL! Welcome to the Castle Hills Elementary information page for the Great Expectations (GE) program! This is a school wide program, implemented to inspire students to pursue academic and personal excellence. Throughout the school year, information about current GE practices will be updated, so please return to this site often! For a complete description of the program, please go to www.greatexpectations.org. For additional information or questions, please contact Mahie Ghoraishi (mahbube.ghoraishi@gmail.com). We will use good manners, saying “please”, “thank you”, and “excuse me” and allow others to go first. 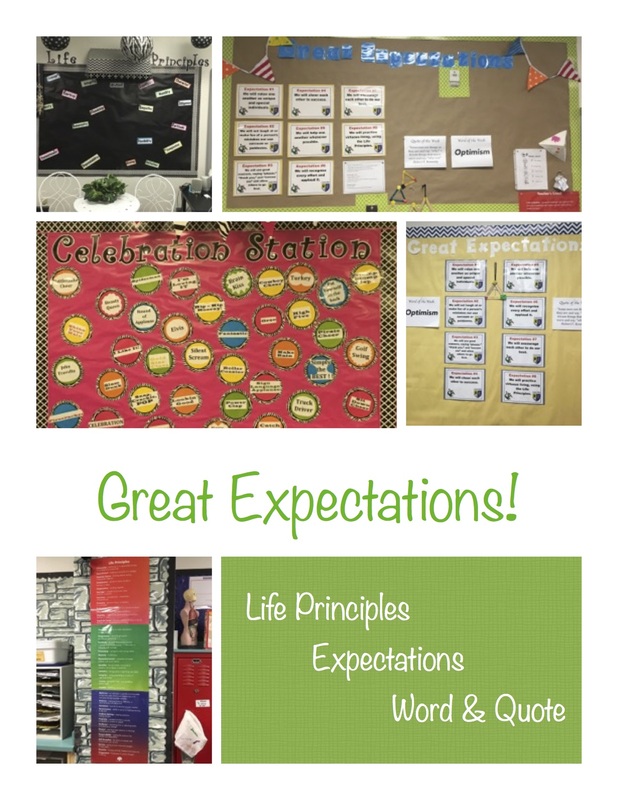 The CHE Great Expectations program supports creativity while providing consistency throughout the grade levels in important life principles. These amazing fifth grade bulletin boards represent the different classrooms and show individual creativity and consistency in principles! CHE Kindergarten sharing their celebrations! Great Expectation "celebrations" are used to celebrate and reinforce positive behaviors during the day. If the students worked really hard on a lesson assignment, the teachers will celebrate their effort. They also use them to celebrate doing a good job with transitions, on independent work, to celebrate a good day at specials and for showing good manners and meeting expectations in the cafeteria. The kids love doing them! Check out our students reciting their Great Expectations Student Creed! Our student creed builds a common language for our school. It's purpose is to inspire, motivate and challenge which is the mission of Great Expectations. It also holds our students and teachers accountable for their daily actions and decisions. Our school, our teachers and each of our individual classrooms have their own creed! Visit www.greatexpectations.org for more information.